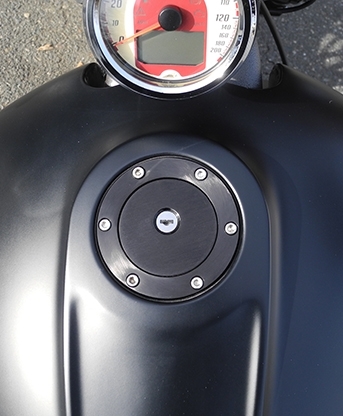 Aeromach designed their gas cap to replace the stock gas cap that gets in the way when fueling with vapor recovery nozzles. Aeromach's cap is machined from billet aluminum and locks when on the bike. Unlock it and remove it to make fueling easier. Black anodized finish with stainless hardware. The cap is vented.